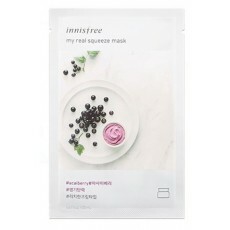 The Acai Berry sheetmask from Innisfree is made of 3 layered sheets totally infused with acai berry extracts and many other beneficial ingredients that adheres to skin tightly providing tired and dull skin lots of nutrients and hydration. After cleansing and toner, open pouch and apply sheetmask over face. Relax and enjoy it for 10-20 minutes, then remove. Pat remaining essences.